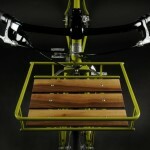 Learn more about Sweet Pea Bicycles here. I don’t often write about music here, but Friday Finds is a perfect venue for talking about the arts. Today, I wanted to recommend the latest album from Mark Knopfler, Privateering. Mr. Knopfler has carved out quite a solo career since his days in Dire Straits. His music is somewhere in the realm of folk ballads, ballads in the true sense of the word. His distinctive voice and superior guitar work makes listening to him an utter delight. 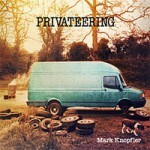 Privateering by Mark Knopfler is available from Amazon and other fine music retailers. Seattle may be the coffee capital these days, but you would be hard pressed to find an older or better coffee shop than New Orlean’s Original Cafe Du Monde Coffee Stand. 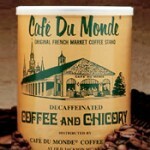 If you can’t make it to New Orleans you can buy Cafe Du Monde’s coffee and other products in their online shop. Shop Cafe Du Monde here. Learn more about Cafe Du Monde here. 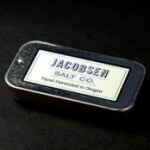 From the cold waters off the coast of Oregon comes Jacobsen Salt. I love salt, as you know, and l love the folks at Jacobsen Salt, not just for their salt, but for their cool packaging, like their Slide Tin. Learn more about Jacobsen Salt here. I hope by the time this post is live I have given this as a gift to my dear friend for whose birthday I purchased it: the awesome Johnny Cash Necklace. The necklace is designed and hand crafted by Christy Bourns of Little Rock’s Robinson Lane and available from retailer Bourbon and Boots. Why does Robinson Lane make this piece of jewelry? “Because Johnny Cash is awesome.” We agree! 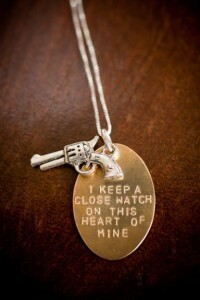 The Johnny Cash Necklace is available from Bourbon and Boots. Check out all the cool offerings of Bourbon and Boots here. 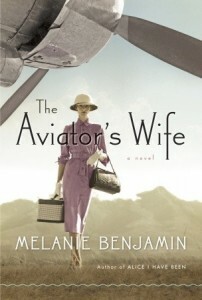 I just finished the wonderful new historical novel The Aviator’s Wife: A Novel by Melanie Benjamin. In The Aviator’s Wife, Ms. Benjamin retells the story of one of the 20th century’s most famous couples, Charles Lindbergh and his wife, Anne Morrow Lindbergh. The story of Mr. Lindbergh is perhaps one of the best known in modern times, and his wife was also well known, not just as the great “aviator’s wife” but as a celebrated author in her own right. But for the first time, the full story of the Lindberghs is told, although in fictional form, from Mrs. Lindbergh’s point of view and the result is a charming novel that allows you to experience history unfolding first hand. Although The Aviator’s Wife is a good read and stays close to the real events and timeline of the Lindberg’s story, I think Ms. Benjamin makes some choices that make for a great novel at the expense of the legacy of a great, although complicated and flawed man, Charles Lindberg himself. That said, The Aviator’s Wife is a novel and as such it is a well structured and a compelling read. And like all good historical fiction, it sparks curiosity for the real life events that inspired the story. Meanwhile, A. Scott Berg’s Pulitzer Prize winning biography of Charles Lindbergh, Lindbergh, is one of my most favorite books of all time and made me admire what the young Lindbergh did on his historic flight if not admire some of what he stood for in later years. I highly recommend Mr. Berg’s book for anyone who is interested in the story of a young man who did an amazing thing and ended up the most famous man on the face of the earth. Lindberg’s story is also about the birth of the cult of celebrity that we thought was an invention of the latter half of the 20th century. Perhaps no one in modern times, other than maybe Princess Diana, was followed by the media and torment by them, as was Mr. Lindbergh. The stories of just how famous the Lindbergh’s were is fascinating when looking back with a modern lens. Fact or fiction, in The Aviator’s Wife and in the biography Lindberg, the story of Charles Lindberg, and his wife Anne Morrow, is as compelling as any other story in history. The Aviator’s Wife: A Novel by Melanie Benjamin is available from Amazon and other fine retailers. 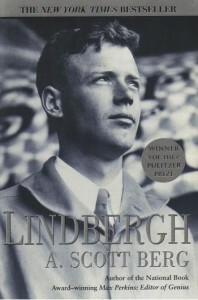 Lindbergh by A. Scott Berg is also available from Amazon and other fine retailers. OK, I hate florescent lighting, compact florescent lights, LED lights and just about every other kind of other artificial light other than the good old fashioned incandescent bulb that Thomas Edison himself invented. This is precisely why I love the good folks at 1000 Bulbs, because they have a full line of wonderful antique light bulbs, including the Edison Style Antique Bulb. 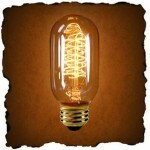 The soft light from these old school bulbs will make anyone look good in your home. Really! See all the antique light bulbs of 1000 Bulbs here. On this Memorial Day, let’s remember those who have made the ultimate sacrifice for our freedom. Quintessential it is, and I love it. 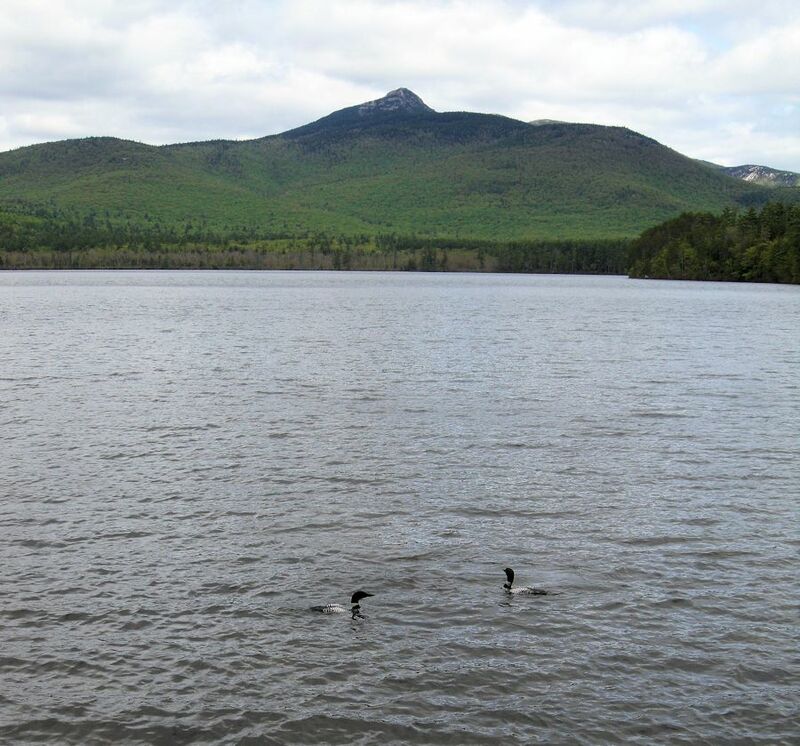 I watched those loons for quite some time and was amazed at how long they can stay underwater and how fast they can swim. Meanwhile, the green of spring continues to make its way up to the summit. Soon, the foliage will be full and we will know that summer is here at last. I lived and worked in and around the great city of Boston most of my adult life. I went to college in Boston, lived in some of the city’s best neighborhoods including Beacon Hill, Back Bay and the South End, and I love every inch of the city. I could go on and on about things I love about the city, but today I will only mention the history and the great old building like the Old State House which is celebrating its ll 300th anniversary this year. I love this old building. Boston’s Old State House stands in the center of the city’s financial district and even houses a stop on the city’s subway system, which makes it a place that thousands of people pass by and through every day. It is so cool to see this historic structure dwarfed by all the modern skyscrapers that surround it and appreciate the history of this great city. 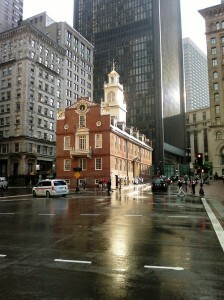 If you have never been to Boston you must visit and be sure to walk the Freedom Trail, which connects the city’s Colonial and Revolution era historic sites, including the Old State House. There is no better time to explore Boston than in the summer, so plan a trip and help celebrate the 300th birthday of one of the city’s historic gems. Help celebrate the 300th birthday of this great site and visit the Boston’s Old State House Museum here. This recipe for Vanilla Extract is simple – it has one two ingredients, and one of them is bourbon. I’m in! 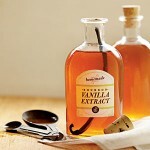 Find the recipe for Bottomless Vanilla Extract here. Check out Southern Living magazine here. 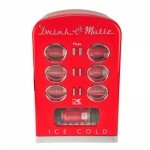 I love this Red Retro Mini Cooler Fridge from Belgian appliance manufacturer, Kalorik. See all the fine Belgian-designed products of Kalorik here. 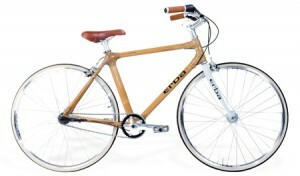 So yeah, I guess bamboo bikes are a thing… but none are as cool as the bamboo bikes by the good folks at Erba Cycles. Check out all the totally awesome bicycles of Erba Cycles here. Fancy pens have always made great gifts. You can choose from any number of nice pens at all price ranges. 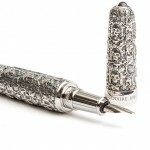 However, you would be hard-pressed to find a pen as cool as – or as pricey as – the Catacombs Black Diamond Fountain Pen. The $20K price tag for the Catacombs Black Diamond Fountain Pen may be a little much, so may I suggest a more humble alternative? Try the Paper Mate® InkJoy™ 100 Ballpoint Stick Pens – only $3.99 a dozen from Staples – sorry no diamonds. The Catacombs Black Diamond Fountain Pen is available from Lighters Direct. 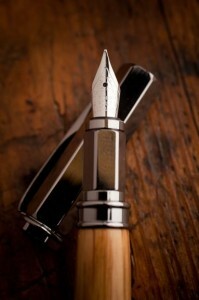 You may recall the many past posts where I have gone on and on about my love of a good pen. You no doubt have also noticed my affinity for fine bourbon. Well, put those two things together (pens and bourbon) and you have today’s find: the Mark® Barrel Rollerball & Fountain Pen. This is a truly cool pen – not only does it have that Maker’s Mark bourbon chic thing going on, it is a good old fashioned fountain pen updated with the best technology. I would make this pen my every day pen, but it would make a nice gift on a special occasion. The Maker’s Mark® Barrel Rollerball & Fountain Pen is available from fine retailers like Bourbon & Boots. 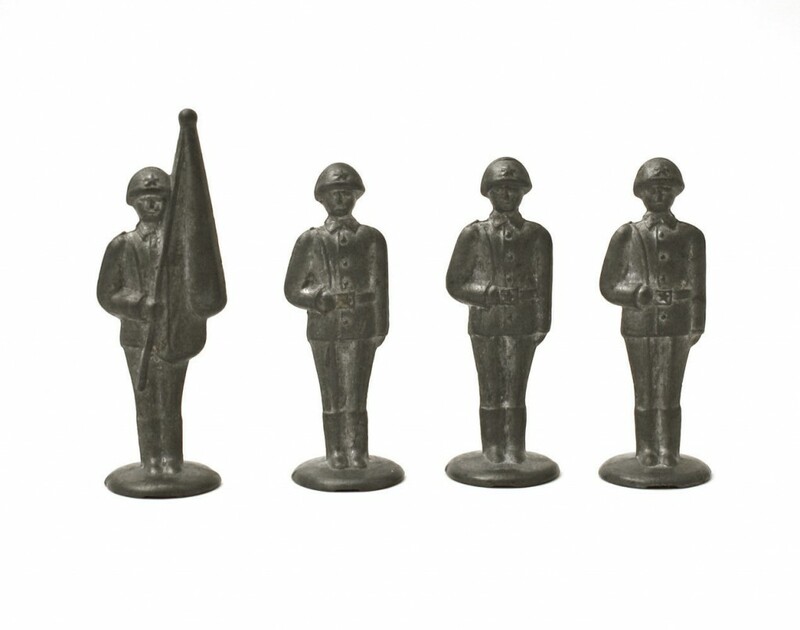 See all the cool thing available from Bourbon & Boots here. The other day I finally finished Winter of the World: Book Two of the Century Trilogy by Ken Follett. I say “finally” because at just about 1,000 pages in the print version, this is one long book and I have been picking at it for the past several weeks. In addition to the satisfaction that comes with finishing a long novel, I now can’t wait for the third and final installment in Mr. Follett’s Century Trilogy. Winter of the World, the book I just finished, is the second in the series and takes off shortly after where the first book, Fall of Giants, left off. I loved Fall of Giants and the families and character Mr. Follett introduced us to within its pages as they navigate the early days of the 20th century through the First World War. In Winter of the World, we meet the next generation of the families from the first book and pretty much follow them through World War II to the brink of the Cold War. I am a big fan of Mr. Follett, who I think is a master storyteller, and his deft hand at weaving multiple stories together in epic detail are on full display in Winter of the World. However, I have found that the middle book (or movie) in a trilogy can’t truly be appreciated until the series is completed. More often than not it turns out the second part of the series is the best, but until then it is just a lot middle. There is no doubt that Mr. Follett has great plans for the final book of his Century Trilogy as he has at least one fan primed and ready. 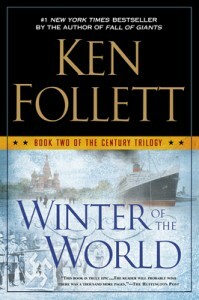 Winter of the World: Book Two of the Century Trilogy by Ken Follett is available from Amazon and other fine booksellers. Lost Cowboy is powered by	WordPress 5.0.4 and delivered to you in 0.983 seconds using 58 queries.